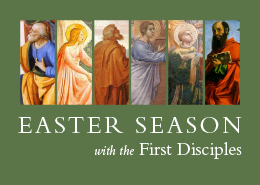 God has a vision for his kingdom and, as disciples of Jesus, it is up to us to make this vision a reality. 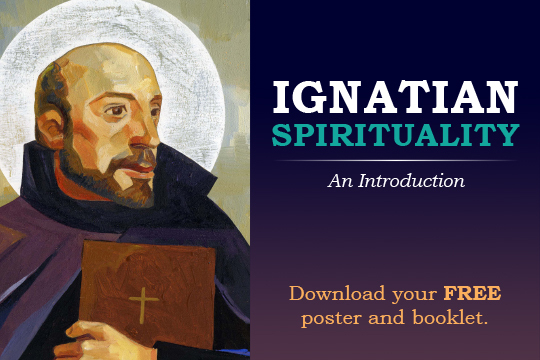 To help us do this, the Church has given us the principles of Catholic Social Teaching to follow. This body of teaching by the pope, bishops, and other Church leaders addresses the most fundamental questions of human coexistence: Who are we? What do we owe one another? How should we live together? How can we establish peace and freedom for all? Introduce the seven principles of Catholic Social Teaching to young people with my free lesson plan, “If I Were King or Queen for a Day.” The plan starts by inviting young people to imagine what they would do if named royalty for a day, with the power to pronounce noble edicts to make an ideal place to live. From there, students consider the ways that Catholic Social Teaching guides us in making the world a better place to live, in the service of the Kingdom of God. 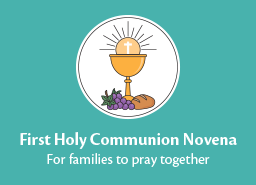 Handouts and a closing prayer are included in the lesson plan packet. 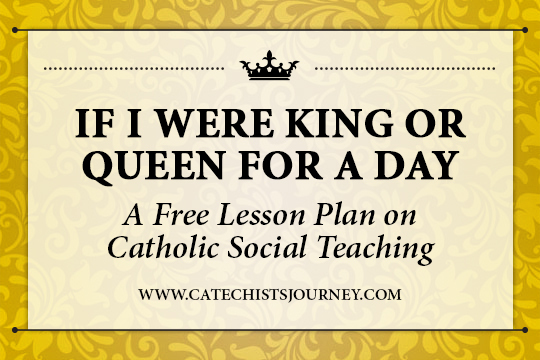 Fill out the form below to receive the free lesson plan: If I Were King or Queen for a Day: An Introduction to Catholic Social Teaching. 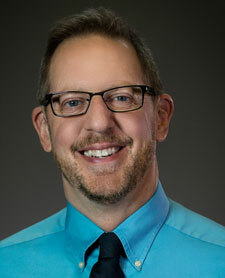 Thank you for all your expertise in Faith formation. I use many of your ideas. You are full of knowledge in ways to love Jesus & to follow his ways. I appreciate all of this. 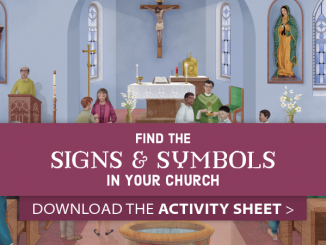 Thank you for providing helpful ways to engage our students in creative ways that help build up community while teaching important Catholic doctrine.